we'll make your move fun. Why haven't we moved you, yet? Is your moving company licensed? Yes. We are licensed to operate locally in the State of California by the California Public Utilities Commission (CAL-T: 179059) and licensed to operate in all 50 states through Allied Van Lines by the U.S. Department of Transportation (USDOT: 076235). How does your company charge for long distance moves? For example, by the hour? Long distance moves are primarily charged by weight, distance, and how many other people desire to move on your chosen move day. There are some additional charges based upon specialty services like packing, crating, or difficulty access to your origin or destination location as well as some potential charges for very unlikely situations, but these will be outlined in detail on your estimate. How does your company charge for local moves (within the state of California)? Moves within the state of California are priced using the MAX4 tariff, regularly published by the California Public Utilities Commission. In laymen’s terms, if your move is less than 100 miles, you will be charged an hourly rate. However, if your move is greater than 100 miles, you will be charged by the weight and distance. Furthermore, for all types of moves within California, you must be provided by your mover a full, guaranteed, not-to-exceed price prior to the beginning of the move. We accept payment by cash, cashier’s check, or credit card. Is a deposit required and is it refundable? No deposit is required. Payment is due before your shipment is unloaded. If you are paying by credit card, we will sometimes request that you allow us to run your card two business days before your delivery to ensure there are no hang-ups. Do you have full-time employees or do you use temps and day labor? Because of the highly seasonal nature of the moving industry, we use a mixture of full-time employee laborers and occasional contract labor. According to Allied policy, anyone that enters your home or touches any part of an interstate move–whether contractor or employee–must be thoroughly background checked and certified. Do you carry Workers’ Compensation for your employees? Absolutely! And, we insist that our contractors do too and check and double check this coverage regularly. What kind of training have your movers and drivers completed? All crews receive comprehensive training on packing and loading from Allied Van Lines. All drivers of semi-trucks must obtain and maintain professional driver’s licenses, requiring attendance at a professional truck driving academy. Are items insured during the move? According to federal law, all household goods moves are covered with a base level of mover liability: $0.60 per pound per item. You may purchase additional coverage with varying deductible levels and all of these options will be outlined in detail on your estimate. What kind of cancellation policy do you offer? You may cancel your move with no charge at any time up until the first piece of furniture is loaded on the truck. What is the contact number for the day of the move should any challenges arise? Once you have agreed to move with us, you will be assigned a move coordinator who will provide you with his or her email address and phone number. This person will be your main point of contact throughout the move process. Did the other quote provide a free in-home or on-site estimate? An in-home or on-site estimate guarantees that both you and your mover know what items are moving. Your mover can then provide an estimated weight and (in many cases) guaranteed timelines, pricing, and/or move details. Does the other mover require a deposit? Is the other mover licensed? If you’re moving to a different state, make sure your mover has a “DOT” number. If your move is within California, look for a “CAL-T” number. If these numbers aren’t clearly displayed on your move paperwork, your mover may not be operating legally. For your reference, Beverly Hills Transfer and Storage’s license numbers are USDOT 076235 and CAL-T 179059. Is the other mover actually a mover? These days, anyone with a web page can claim to be a mover. They’ll book your move then broker it to an unknown third party. Ask your mover if he owns his own trucks and warehouses. Beverly Hills Transfer and Storage owns both. Does the other mover use Certified Labor? Beverly Hills Transfer and Storage requires stringent background checks of all its interstate drivers and laborers to make sure the people handling your belongings are worthy of your trust. Did the other mover provide a “Guaranteed” or “Not-to-Exceed” quote? As long as we can do an in-person survey, the vast majority of estimates provided by Beverly Hills Transfer & Storage come with a price guarantee. Unlike some, we will NOT change the price upon delivery. Unlike others, we will NOT hold your belongings until you agree to a new price. We WILL provide you an honest estimate that we will hold to. 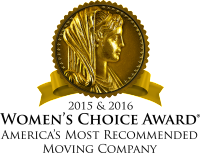 Beverly Hills Transfer is the proud recipient of the Apex Award for Fifteen years of consistently excellent customer service satisfaction ratings. In terms of quality, we currently rank among the top ten Allied Agents in the world. Don’t get burned! If another mover’s estimate seems too good to be true, it probably is. Some of our competitors concentrate on finding the lowest cost alternative. We prefer to concentrate on providing you the highest quality service. Your presence: You or your designated representative must be present for the entire time that the van line agents are in your home on each of your move dates (packing, loading, and delivery). Phone: We will need to be able to get in contact with you throughout your move. Please make sure you provide us with a cell phone and/or landlines for both origin and destination. Certificate of Insurance: Some buildings require a certificate of insurance before we enter the property. Please ask your property manager if one is needed, and if so, please ask him or her to email the building requirements to your moving coordinator at least 48 hours prior to move day. If your building has restricted work hours, please make sure we know this information in advance. Additionally, if your building has an elevator, please check with management about reserving the elevator for our exclusive use. Parking: If your street is difficult to park on and/or your city requires parking permits, please make sure they are secured for all move dates (including packing). If you would like, we are happy to secure these permits for you. If you are interested in this option, please ask your moving consultant for pricing. Appliances: Your refrigerator and freezer must be emptied, defrosted, and dry at least 24 hours prior to loading. Washing machines, dryers, and refrigerators must be disconnected from gas, water, and electricity. Most customers prefer to accomplish utility handling by themselves. However, if you are interested in having Beverly Hills Transfer and Storage make the appropriate arrangements, please speak to your Move Consultant about pricing. Electronics: Disconnect electronic equipment from each component and the wall jack. CDs, DVDs and Bluerays should be removed from electronics, and your computer should be disconnected prior to the crew’s arrival. If your TV is mounted to the wall, if will be your responsibility to remove it prior to the crew’s arrival. If you would prefer Beverly Hills Transfer and Storage to arrange for a handy man to remove your TV mount, please speak to your Move Consultant about pricing. Attic and Crawls Space Items: You are responsible for the removal of items in your attic or crawl space. The crew is not permitted to enter attics or crawl spaces, even if partially or fully floored. Vehicles and Boats: If you are shipping any vehicles, all personal items must be removed prior to the loading of your vehicle. You may not ship or store items in your vehicle during the move. Items containing gas/oil: Any items that will be shipped with your household goods that require gas or oil, including power driven equipment, tools, lawn mowers, motorcycles, and others must be drained prior to loading. Firearms: Federal law requires that the make, model and serial number of firearms be listed on the inventory acknowledging receipt. We cannot transport ammunition. Outside Vendors: Do not schedule any general contractors, cleaning companies, or cable/phone/internet installation for the same day as your delivery day or the day of third party servicing (which is usually the day after delivery). Prohibited Items: Items that cannot be shipped include perishable food, frozen food, live plants, prescription medication, wine, alcohol, propane, scuba tanks, ammunition, paints, combustibles or flammable items, matches or lighters, candles, firewood, aerosols, valuables such as jewelry, precious metals, gems or semi-precious stones, furs, insurance policies, legal or important documents, currency, collections (such as baseball cards, stamps, coins, etc) or items of sentimental value. 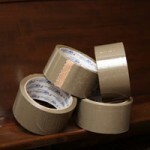 These items are not covered by insurance and should be handled outside of the move process. 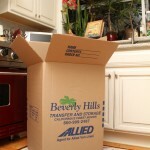 Packing: If you have elected to pack yourself in any way (as opposed to having Beverly Hills Transfer and Storage pack everything for you), it is always a good idea to reassess your packing needs a couple of days prior to your move. Be sure to check all possible places in your home (storage cabinets, closets, sheds, basements, crawlspaces, beneath furniture, and everywhere else for anything you may have previously overlooked). 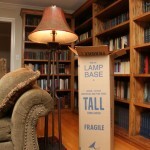 Be sure to contact your Move Consultant for pricing on any last-minute packing. 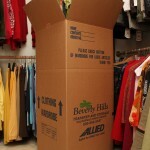 All packing should be completed the day prior to a move either by you or our professional packing teams. We accept cash or a certified check at the time of delivery. If you’d like to pay by credit card, we require that a Credit Card Authorization form be filled out and sent back before the start of your move. Payment may be processed up to 48 hours prior to delivery. If you are scheduled for delivery on a Monday, the card will be processed the Friday before. We believe in treating our customers’ belongings like they are our own. That’s why we have developed special techniques to ensure the safety of your goods. We make sure that our pads are secure by taping them with strong, easily removable packing tape. 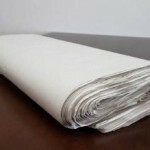 We wrap your belongings in thick, clean, reusable standard- or custom-fitting furniture pads. 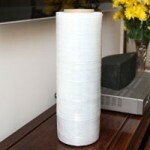 To ensure maximum protection, we shrink wrap items (often on top of furniture pads) with clear, tear-proof plastic. This way your goods always arrive safe and clean. 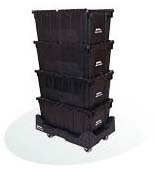 We also create standard and custom-built wooden crates for the ultimate security of your items. Of course, we also take every precaution to protect the move site in addition to your goods. It is our sincere aim to prevent claims through the careful, diligent, and professional protection of your goods. Additionally, on interstate shipments with Allied Van Lines, you are provided a guaranteed delivery spread. However, in the unlikely event that you experience loss or damage during the move process or a delay in your shipment, we will guide you through the claim process. In order to experience the best level of protection, we highly recommend choosing one of our Extra Care Protection (sometimes called Full Replacement Value Protection) options. This protection will replace, repair, or reimburse you for any loss or damage at the full replacement value at time of replacement of each item. Of course, all shipments are required to carry our weight-based basic valuation coverage, but this can often be inadequate coverage when it comes to low density or high value items. If the damage that occurs is residential property damage, you must alert our claims coordinator within 24 hours. Our claims coordinator can be reached at 310-999-6628, or email claims@beverlyhillstransfer.com. Residential damage is covered independently from your valuation protection. Finish all unpacking and make a list of all missing or damaged articles. Do NOT throw away any damaged items or cartons. Gather your documents for reference purposes as you will be asked for your shipment or registration number. Contact either our in-house claims coordinator or Allied Van Lines claims. If your entire move took place within the state of California: Beverly Hills Transfer and Storage’s claims coordinator can be reached at 310-999-6628, or email claims@beverlyhillstransfer.com. If your move was interstate: you may fill out the claim form online (http://claimform.sirva.com/HouseholdClaimStep1.aspx?br=12000), call Allied at 1-800-470-2851, or email claims@alliedvan.com. If your move was international: you may fill out the claim form online (http://claimform.sirva.com/intl/HHClaimIntlStep1.aspx?brandid=12003), call Allied at 1-800-470-2851, Option 4, or email claims@alliedvan.com. If your shipment is eligible for a delay claim (an interstate road move above a minimum weight of 3,500 pounds), keep a record of all expenses you incur due to the delay of your shipment. 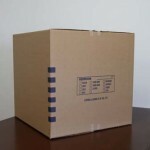 Once the shipment has been delivered, file a claim by either filling out the claim form online (http://claimform.sirva.com/HouseholdClaimStep1.aspx?br=12000), calling Allied at 1-800-470-2851, or email claims@alliedvan.com. All claims will be settled within the parameters defined by the liability option you selected on your Bill Of Lading, subject to minimum weights as discussed above and other terms of the tariff under which you are moving. We are standing by for assistance and have great confidence we’ll be able to resolve your claim expediently. We greatly hope that this Moving Guide has provided you answers to most of your common questions. However, please feel free to contact your Move Consultant or Move Coordinator with any questions specifically related to your shipment that may not have been covered here. Our office is also always available at 310-532-1121 or toll-free at 800-999-7114. We are looking forward to your move! We will always quote you a guaranteed, honest and well-considered price for your moving services. Furthermore, your home and belongings will be treated like they’re our own while you are charged competitive moving costs. We hope to welcome you as family to the Beverly Hills Transfer and Storage, a family-owned local moving company with international possibilities. Copyright ©2015 Beverly Hills Transfer and Storage. CAL-T 179059. ALLIED and the ALLIED ROADWAY DESIGN are registered trademarks and service marks of Allied Van Lines, Inc.